NAVEX Global, a rapidly growing ethics and compliance company, needed a new corporate headquarters that reflected the company’s culture and brand, and could accommodate a larger workforce. 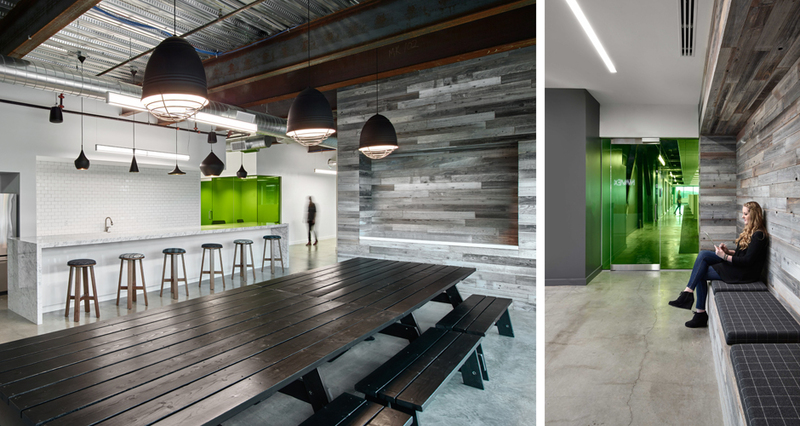 Through a collaborative process, Mackenzie designed a creative workspace that’s responsive to the nuances of NAVEX’s philosophy and guiding principles. Their new space is livable, and marked by a sense of transparency and connectivity: it’s a creative office thoroughly informed by the ideals and aspirations of the people who use it. 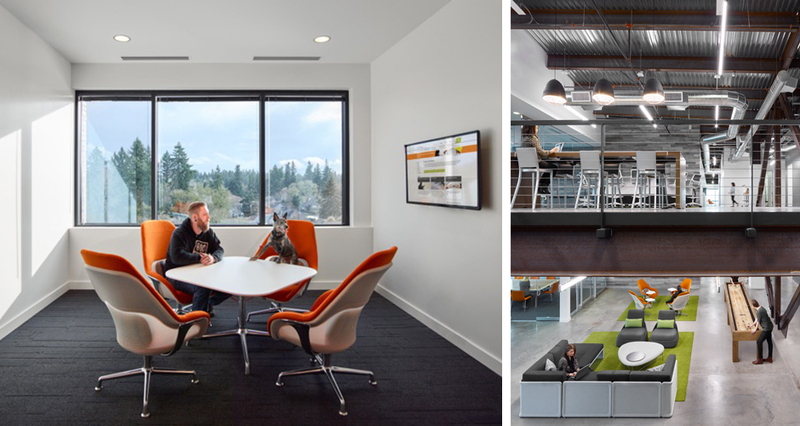 The project entailed a major tenant improvement of 50,000 SF in the top two floors of the Kruse Oaks III Building in Lake Oswego, Oregon. 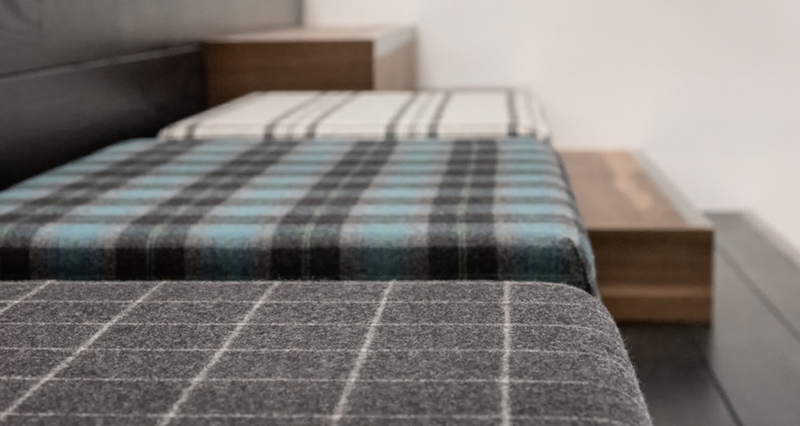 It was crucial that NAVEX’s employees be able to connect easily, and collaborate in spaces separate from their individual workstations. 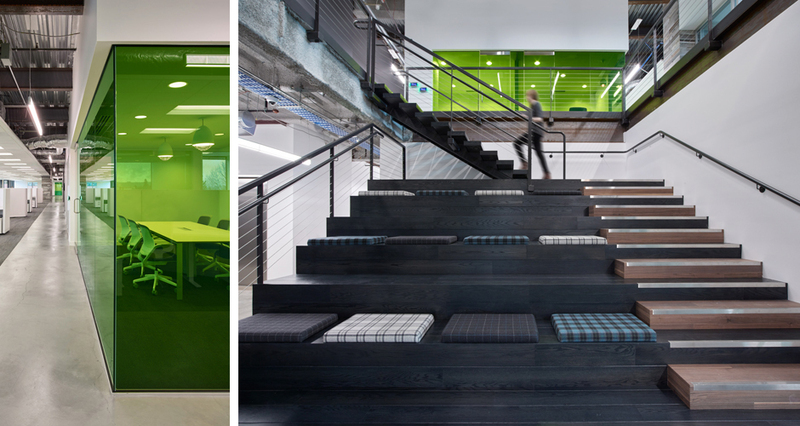 The two floors are connected by a central monumental stair, with open spaces at the top and bottom, providing a large contiguous space in which employees can engage with one another. Conference and huddle spaces all use glass to promote an atmosphere of transparency, while providing “we” spaces away from employees’ “me” spaces. Another fundamental goal of the project was employee engagement. 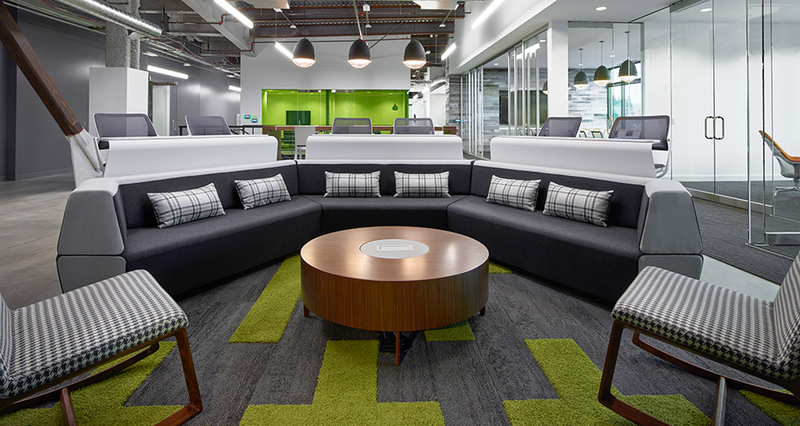 The space is meant to encourage a “live, work, play” environment in which employees have a level of choice over how and where they work, with ample opportunity for chance encounters with one another, prompting broader collaboration and innovation. 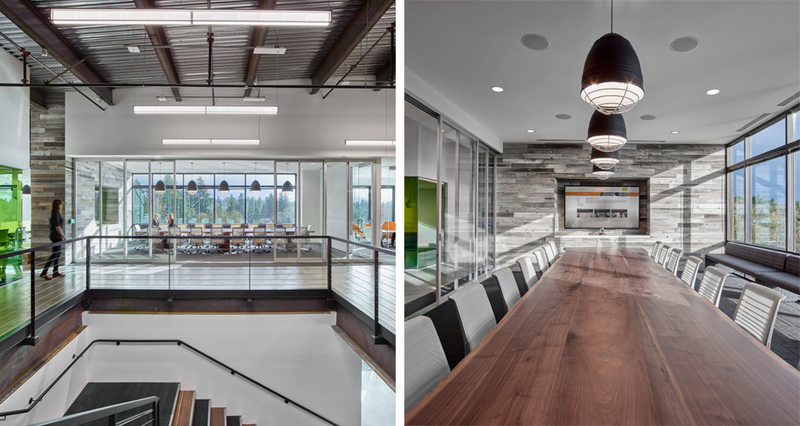 The “live” component is expressed in many ways, including the design of several comfortable lounge areas throughout the office, an expansive open kitchen with a large island, and an 18’ communal picnic table. 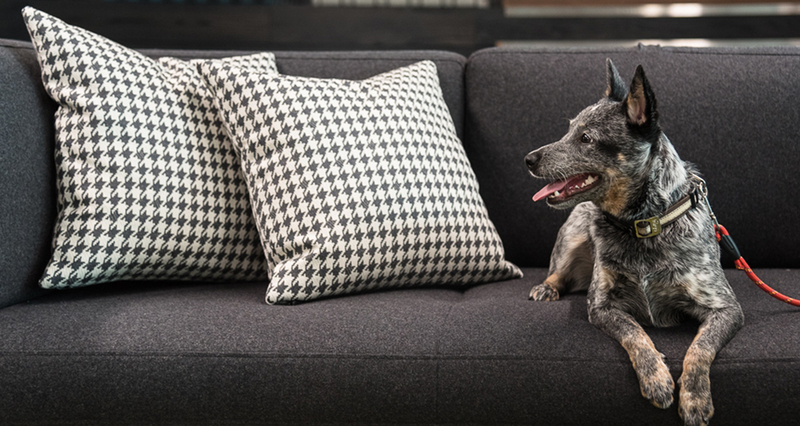 Natural materials like reclaimed wood and wool upholstery are used to create a warm, lived-in atmosphere. 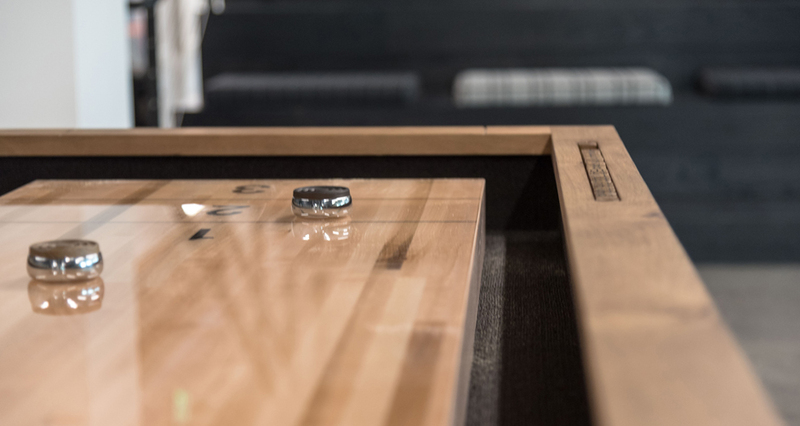 The “play” component is represented by design elements like a ping pong table that doubles as a conference table, and a large shuffleboard table in their all-staff area at the base of a stadium seating section. The new headquarters reflects the NAVEX brand’s visual aspects as well as its cultural aspects. Mackenzie took examples of their print and media material, which features black and white images of people overlaid with colors of nature, and incorporated the motif into the work environment. 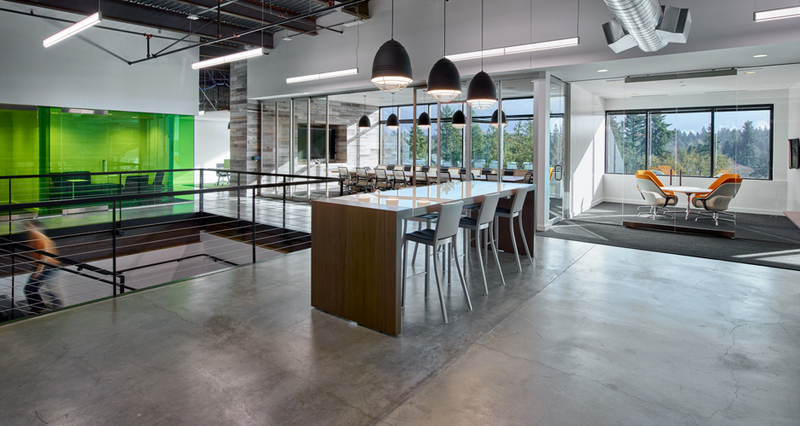 This was accomplished primarily by using a neutral white and gray palette with vibrant green tinted glass at key areas throughout the space.